The People’s Republic of China’s strict communist upbringing is perfectly portrayed by its national emblem – a symbol of courage, boldness, strength and vivaciousness that is predominant in the Chinese blood. Living out the Maoist philosophies of life and bringing about a culture that paved the way for economic dominance, military strength and cultural preservation, the Chinese have evidently risen to become a world superpower. With its staggering 1.3 billion people, the challenge of bringing together everyone towards a sense of nationalism and pride in the motherland was a task that China did not discount many years ago. To materialize the desire to come up with a strong national symbol, the government mandated the Preparatory Committee of the New Political Consultative Conference in July of 1949 to take on the task of soliciting design ideas for the national insignia. A nationwide campaign searching for quality designs that exhibited at least three main components: Chinese components like geography, culture, arts and the like; Power attributes like strength, courage and resilience; and that the color must be dominantly bright red. After successfully drawing together about 3,000 designs from all over the country, Zeng Liansong’s slightly edited entry was hailed to be the official flag of the great nation. Zeng’s artistic ideas were inspired by an article written by Mao Zedong, Chinese prime leader, national strategist and visionary. The bright red plain was carefully disturbed by five stars – four equal sized smaller stars forming a curve to the right side of a bigger fifth star. The positioning suggested that the four social classes of China formed a united bond under the Communist Party of China. The stars also could represent the territory of China including Outer Mongolia forming an implication of the Begonia Leaf. 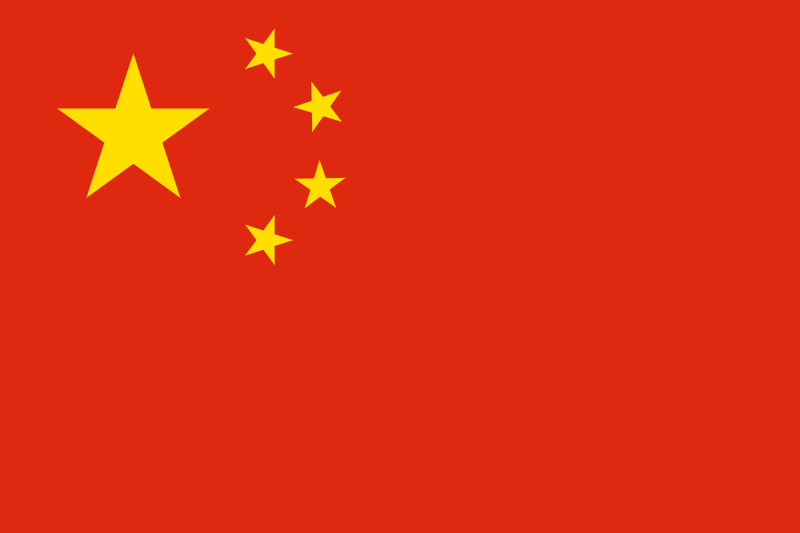 After removing the hammer and sickle on the big star as was in Zeng’s original design and much persuasion from Mao himself, the flag was adopted on September of 1949.